Isoamyl acetate (also known as isopentyl acetate), is an organic compound that is the ester formed from isoamyl alcohol and acetic acid. 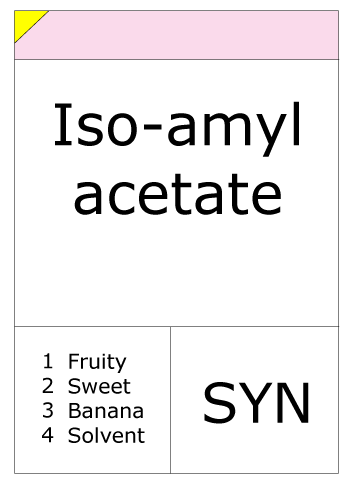 Isoamyl acetate has a strong odor (similar to Juicy Fruit or a pear drop) which is also described as similar to both banana and pear. 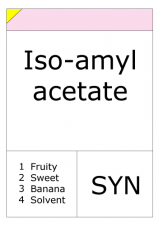 Banana oil is a term that is applied either to pure isoamyl acetate or to flavorings that are mixtures of isoamyl acetate, amyl acetate, and other flavors. It is also used as a honey bee pheromone and can be used to attract large groups of honeybees to a small area.